March 4, 2011 Kathe Skinner, M.A., L.M.F.T. "Waldo you have 10 seconds to give the correct answer". "Buckshot?" The Romans had their games (think chariots racing or gladiators fighting). So did the jousting, dragon-slaying Brits. Aztecs (or was it Incas?) played a form of soccer with severed heads of their enemies. Of course the pains of losing were final; a defeated gladiator couldn’t try again later. Here’s my take on the game shows I’ve considered…what about you? “Fear Factor”? What sadist thought this game up? “A Minute to Win It”? I’m too slow, too clumsy, unbalanced (take that any way you like). “Password”? What? With the trouble I have with word finding? “American Idol”? I could be a judge. 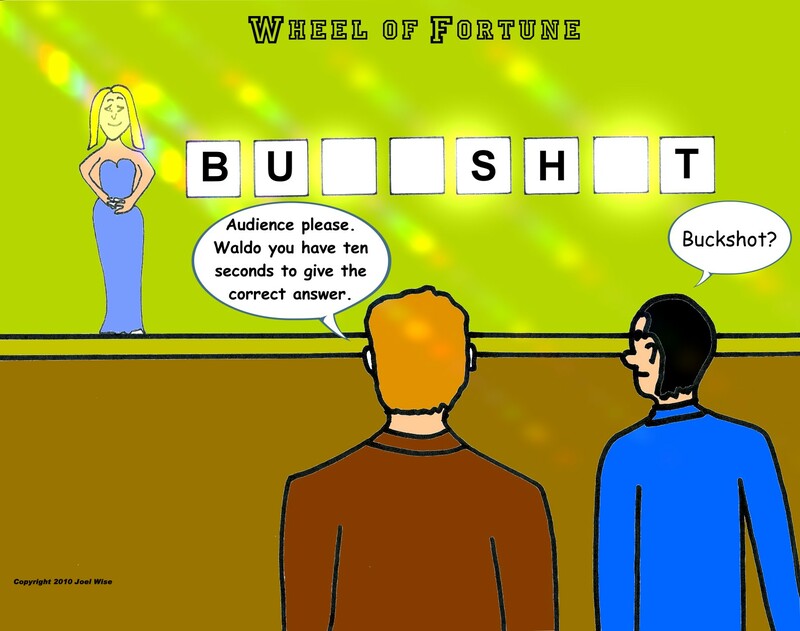 “Wheel of Fortune”? My hearing is impaired because of this show. Mom and Dad watched during dinner, with the tv a foot from the back of my head. The impact was clear: even my food vibrated. ← YOUR MOTHER IS FULL OF GARBAGE. SO IS YOUR DAD.